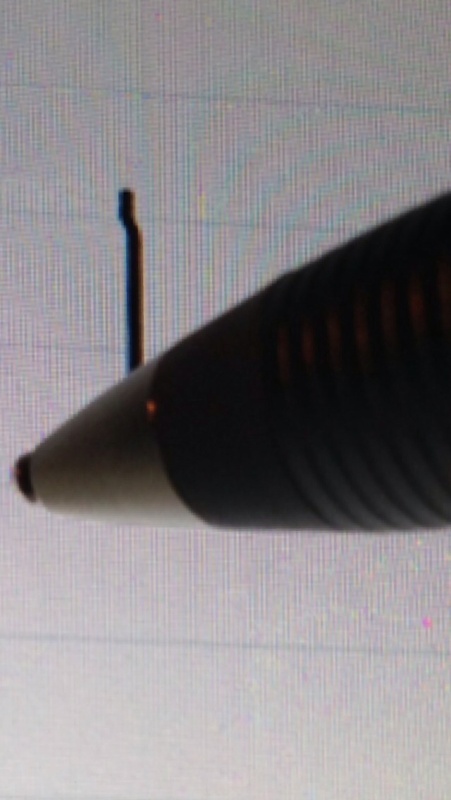 I added a photo in which you can see how far the line is from the tip when I hold the stylus like In a writing angle, drawing a vertical line. As far as I know I haven't seen one reported it works as advertised, based on screen orientations and pen holding positions/angles it will have offset to different extents, but the direction of offset seems to be consistent. I found that it works better when you use it in portrait mode, but stil the experience is very spotty. I guess I'm not the only one who asked for a return. Adonit told me they where working on this offset (it can probably be fixed with the SDK). You should know that, if you don't pair the stylus with the iPad, not only does the stylus still work (as long as it is powered on), but most importantly the offset is way smaller. As a mater of fact, that's how I use it, at least for now. Although, I made a video to show the Script in action with my favorite note taking app, GoodNotes. You can watch it here.